It is important that each member do their part to help keep the courts at their best. Please remember that they are for use by Cameron Wood Swim and Racquet Club Members Only. 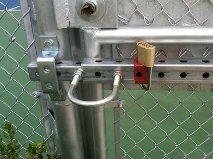 The Courts are to remain locked when not in use. Use the code listed to gain access to the courts. This code will change from time to time and you will need to log onto www.cwsrc.com to obtain the new code which will be listed under the members only page under tennis. To lock the courts after use, align the red paint line in lock system, then place lock upside down in the red line so dial can be read from the top side. When replacing the lock after use please lock appropriately.. Spin dial once lock is closed to secure lock in place. You can find the updated Tennis Code under the Members Only Tennis Code Section. You must be logged in! Please do not share lock code with anyone else. 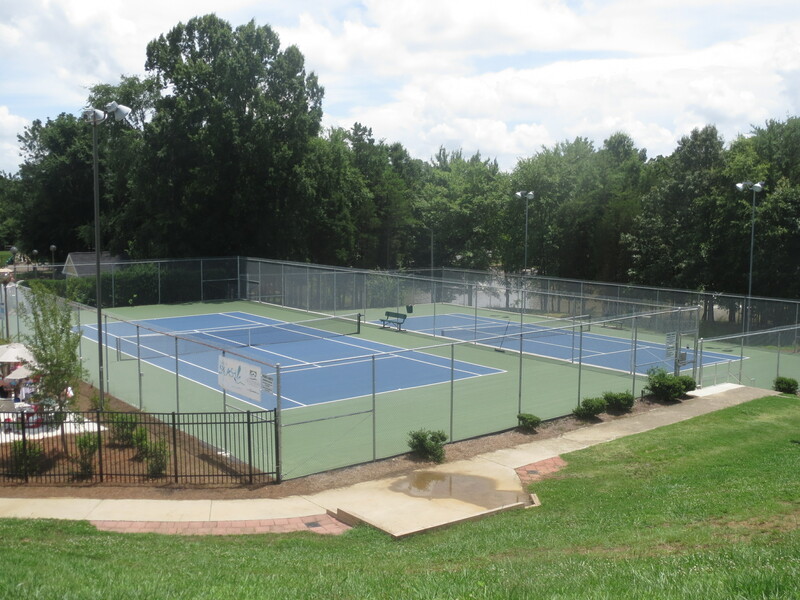 Club members have invested money to upgrade the courts for use by members only. Some great things are happening at our tennis courts. Thanks to the efforts of our Tennis Advisory Board and our Board Member and Tennis Chair, Dash Babani, our tennis community is growing. Please see some of the new things taking place at the tennis courts below. If you have any questions, please contact Brian Rosenthal at (919) 395-7329, or email brian@rdutennis.net. Camp operates Monday through Thurs with Friday used as the rain make-up day. Ages 5-14 are welcome to this camp. Primarily designed for the novice level player. Ladies, join your fellow neighbors and club members on Thursday nights at 7-9 pm for a "social" period where no instruction is given. All levels are welcome. Both Courts are Reserved. All court reservations are conducted through a website called www.reservemycourt.com. Members will need to log-on to create an account and identify themselves as Cameron Wood residents in order to reserve the court. An attached training guide is included to assist with this process. The lower court (court #2) is the only court available to reserve. The upper court (Court #1) will remain as a first come, first serve basis. You must reserve a court at least one day in advance. Reservations cannot be made the same day you wish to play. When making a reservation, you can elect to have a confirmation sent to you by either text or email. You should keep this reservation handy as “proof” should be there already be someone on court during the reserved time. o DO NOT “Kick” people off the court. Always be neighborly and respectful to your neighbors by patiently explaining how the system works. Private lessons can be available by contacting Cameronwood Fall instructor Ryan Boward directly at ryanboward@yahoo.com. Private Lesson fee of $40 per hour available. Semi-Private lesson available for $25 per participant.